Howard Post iconic works can be found in public collections and museums throughout the United States, including the Smithsonian, the Tampa Art Museum, the Eiteljorg Museum of Western American Indians and Western Art, Denver Art Museum, Whitney Museum at the Buffalo Bill Historical Center and the National Cowboy & Western Heritage Museum. 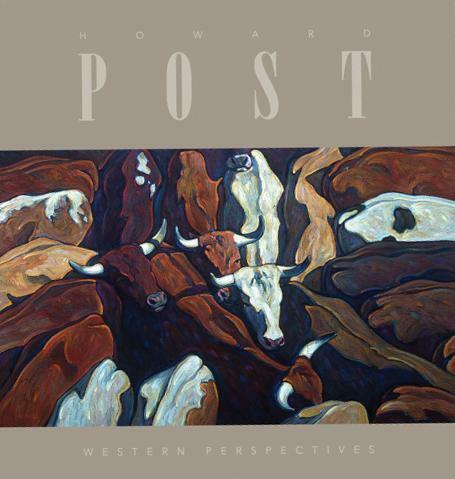 Howard Post: Western Perspectives, released this spring from RFA Publishing, is a 200-page hardcover edition featuring 13 color plates from Post's catalog of works. Featuring four decades of work, the volume tells about the artist's life from youth to veteran artist, and the journey to finding his roots as a painter. "My breakthrough moment happened when I was working on my master's. At the time, I was painting real light pictures of cowboys trailing behind the herd, that kind of thing. One of the faculty members at the university made me throw out all that stuff. He told me to go out to my dad's place, the ranch, and do some huge canvases - to paint what I had a personal history with. That show ended up being my thesis show: 40-by-60-inch paintings of corrals, horses, and cattle. The first time I did one, I knew it was my own. I was'nt referring to anyone; it was me." Post has received numerous awards and honors for his work, including the Prix de West Great American Cowboy Award and the Gold Medal for Painting at The West Select 2012 exhibition. 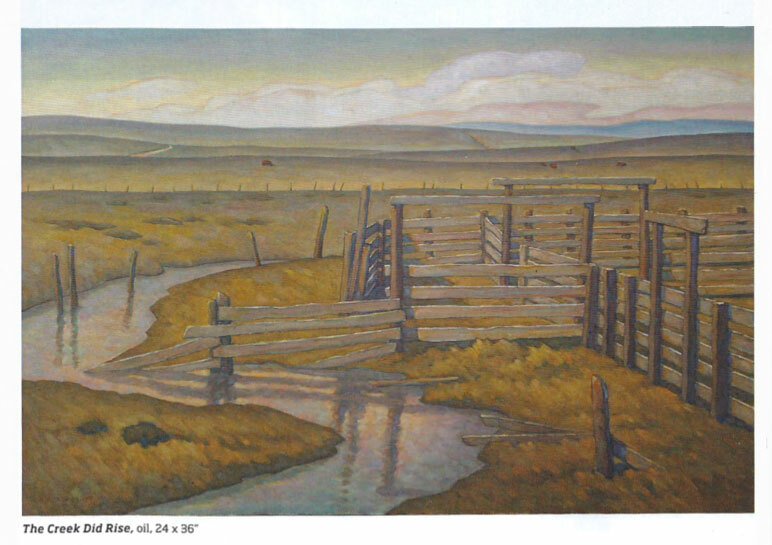 He also won the Western Art Collector Award of Excellence and the Victor Higgins Award of Distinction at at the 2012 Quest for the West Art Show and Sale. Post lives and works in Queen Creek, Arizona, with his wife Marilyn, and still competes on the senior professional rodeo circuit.